There are days when I’m so lazy, I’m too lazy to even open a can. Slow cookers are ideal for lazy cooking days. Once the prep is done, ingredients just get deposited and forgotten for hours at a time. 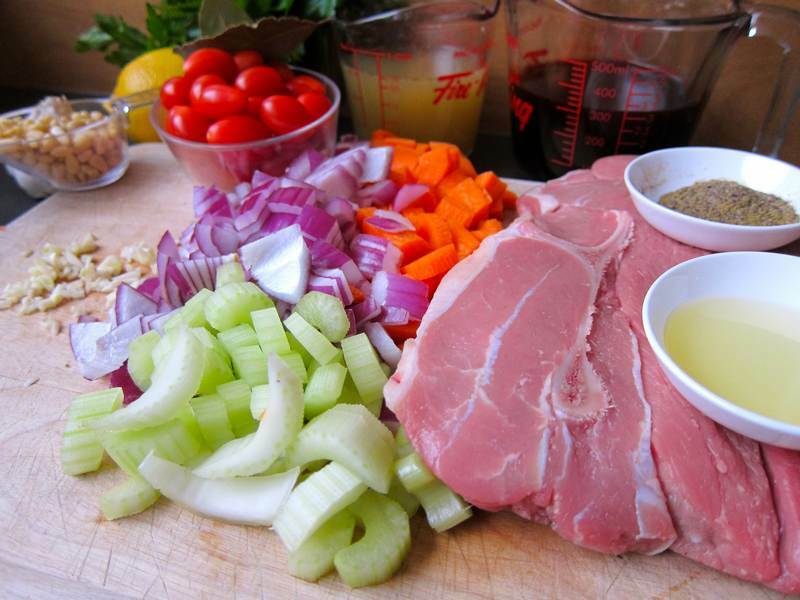 There are numerous outstanding osso buco recipes, but I was drawn to this simple recipe. The outcome was perfect. If you only eat veal a few times a year, as I do, then you will be pleased to embrace this flavourful rendition. In a bowl, combine the salt, cumin and pepper. In a large skillet, heat the oil and brown the meat on medium-high. After browning, add the spice mixture to coat the meat. Place in the slow cooker. In the same skillet, soften the onion, carrot, celery and garlic. Add the beer (or wine), broth and tomatoes. Bring to a boil then pour into the slow cooker. Cover and cook for about 4 hours on low or until meat is tender. Cook barley by adding it to the slow cooker for the last 30 minutes. Adjust the seasoning before serving. 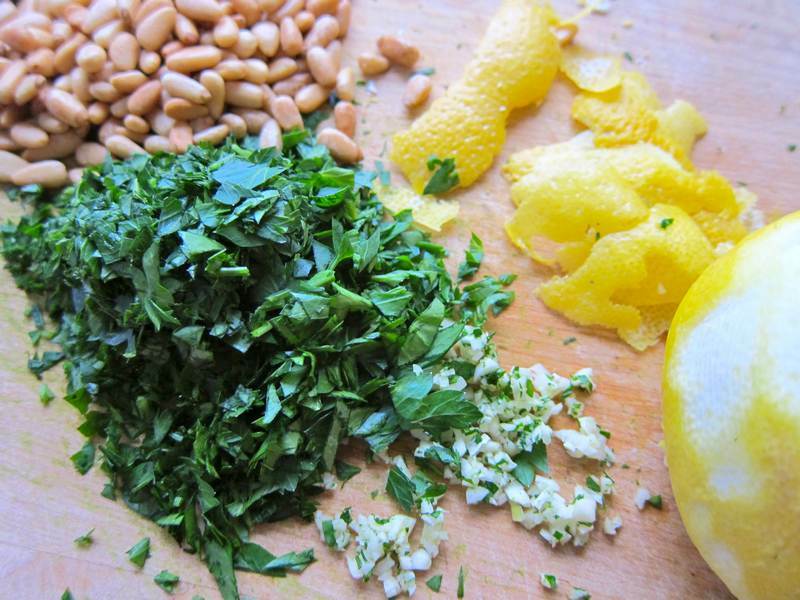 Serve with gremolata on top of the veal. Serves 4. Using a vegetale peeler, remove only the yellow outer peel of the lemon in long strips. Mince the strips of peel. Combine all ingredients. Refrigerate covered. 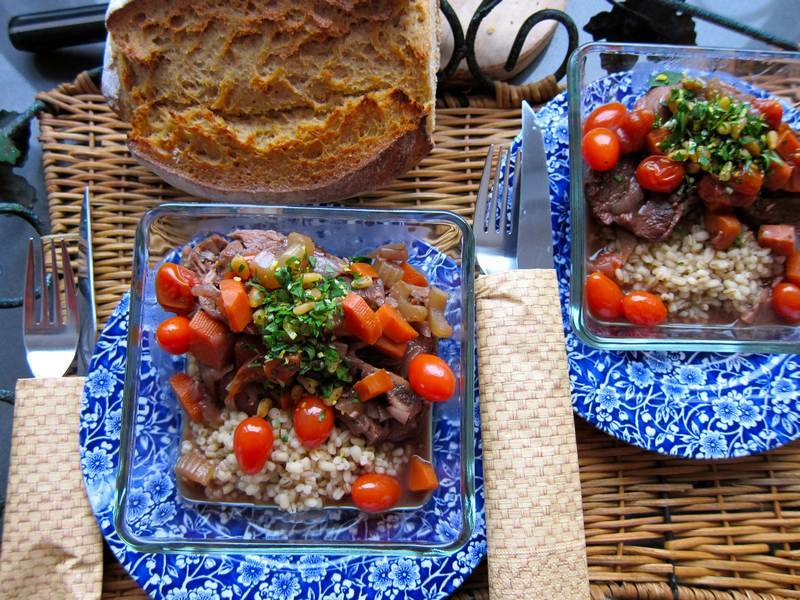 Recipe inspired by Ricardo’s Slow Cooked Veal with Cumin and Beer – a more fiery version. Thanks someone, I mean Liz. You were clamouring for meat recipes.